The start of a new school year always brings change. The changes, some small, and others big always come to the Pennridge school district. This year, however, an enormously large change occurred: a new superintendent that is. 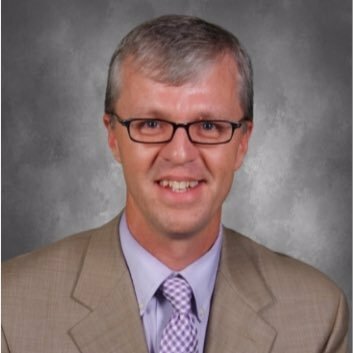 Dr. David Bolton took the job from the retiring Superintendent, Dr. Jacqueline Ratigan, at the beginning of the school year. Already, Dr. Bolton has been doing as much as he can to get involved in the Pennridge community by attending athletic, musical, and social events throughout the district. I had a wonderful opportunity to get to sit down and interview Dr. Bolton and ask him a few questions about himself and the upcoming school year. He was very welcoming and genuine while answering the questions I posed. A superintendent is normally a person who stays in a school community for a long period of time, so why not get to know them. When asked how he would describe himself in three words, he responded with “ Student-centered, involved, and a teacher” because even though he’s the superintendent he still sees himself as a teacher. Sometimes he is working and teaching adults and not directly with students, but still sees himself as a teacher overall. Of course, a person is more than just their job. Dr. Bolton talked about his family and how most of his free time is spent with them; whether it’s hiking at national parks or just riding their bikes, they seem to enjoy nature at it’s finest. I think it’s safe to say that Pennridge is in good hands with our new superintendent. Dr. Bolton. He carries out his job with great care, class, and a touch of humor. His tenure at Central Bucks has certainly prepared him for his upcoming years at Pennridge and even though he has only been a part of the community for a few months, many already feel his positive energy spreading within each and every school. All kids from Kindergarteners to high school seniors can see the magic he brings to our district. If that’s not enough to convince you then I’m sure his answer to my final question will. This article has all the details needed to get to know Dr. Bolton. Thank you Emily Rudy for this great and informative article. Plant Based Food in Perkasie? !